The Bridges at Germantown won the Business Beautification Award for Germantown! Location, location, location! Your search is now over! Situated in the heart of wonderful Germantown, The Bridges at Germantown is within minutes of the medical corridor, Saddle Creek Retail Center, restaurants, and entertainment. Our beautiful well-appointed 1, 2 and 3-bedroom apartment homes offer stainless steel appliances, a full size washer and dryer, a large patio or balcony and walk-in closets. Residents can stroll through the gorgeous grounds, enjoy a swim in one of our pools, play a game of tennis, or workout in our fitness center. We also maintain a fleet of bicycles for our residents’ use! 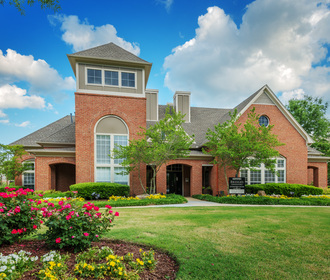 The Bridges at Germantown – a place you can call home! Contact us today for a tour!